Red wine grapes love “Terre Rosa,” especially Shiraz and Cabernet Sauvignon. Shiraz is primary in the region due to the overall commercial popularity of “Aussie Shiraz,” but McLaren Vale Cabernet Sauvignon to many is even more compelling. First-rate Syrah is produced in several parts of Australia including Barossa Valley, Hunter Valley and other sweet spots, but McLaren Vale stands alone as the country’s top Cabernet Sauvignon producing region. This is for good reason. McLaren Vale Cabs have a distinctive dark cherry and red currant fruit character rarely found elsewhere in the land down under. 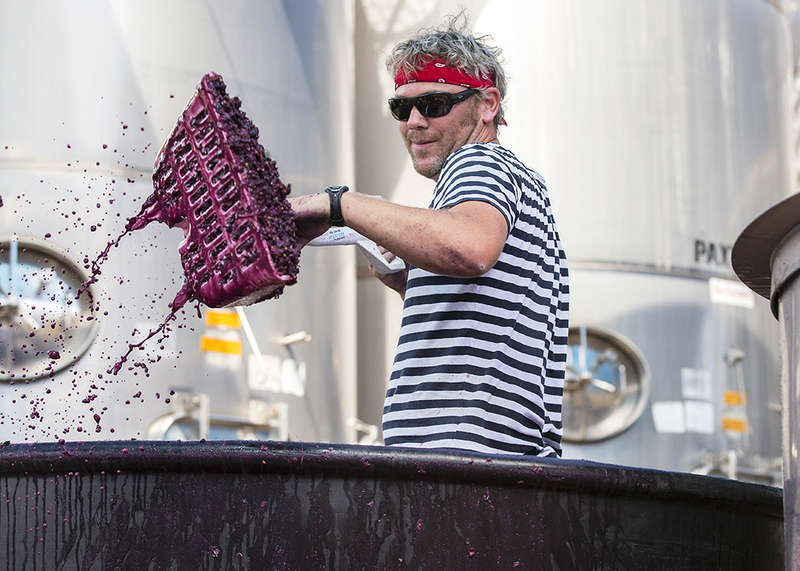 Growers always have been the backbone of McLaren Vale as wineries (like Hardy) have come and gone and/or twisted themselves inside out chasing relevance and commercial success. 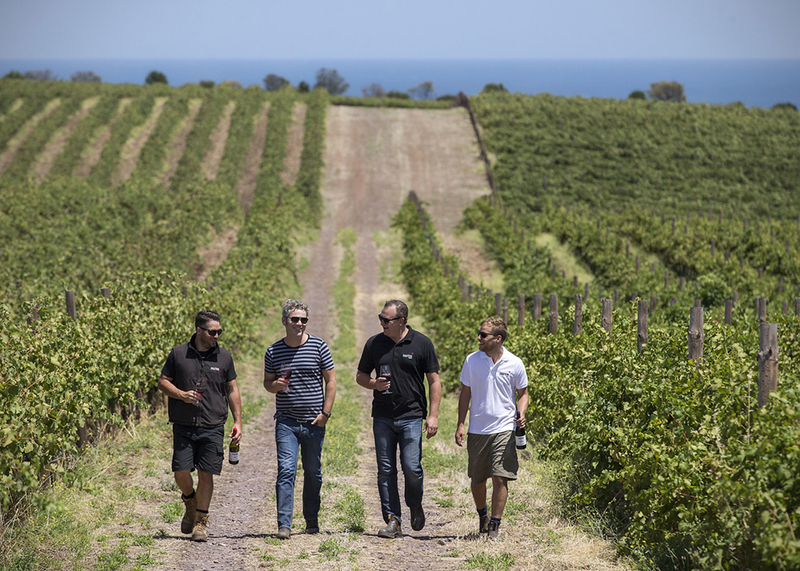 Throughout their history, McLaren Vale’s growers stayed dug in, accepting stewardship of their special terroir (7,500 hectares of vineyards) and adapting as best they could to the vicissitudes of the wine business. This was vineyard owner David Paxton’s situation until thirty years ago when he made the frightening decision to produce wine as well as sell grapes. Typically, growers do this to escape the tyranny of price controls and yield requirements put in place by powerful wineries, often big alliances whose demands can’t be refused. Seeing some of their grape customer’s wines win prestigious awards and receive high scores from important critics often just adds insult to injury for top growers. 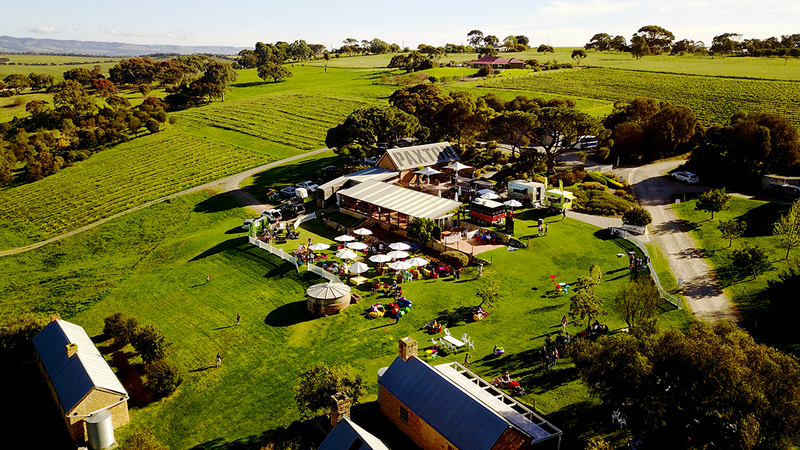 In short, there are plenty of reasons to make your own wine from your own grapes in McLaren Vale, like they do in all the other great wine regions. In 2000 the Paxtons’ father, David, joined followed in time by his son Ben. The Paxtons’ vineyards are their lifeblood, so a clear decision was made early on to convert to 100% biodynamic viticulture (certified since 2011). For those who think this was for new age holistic reasons, take pause. 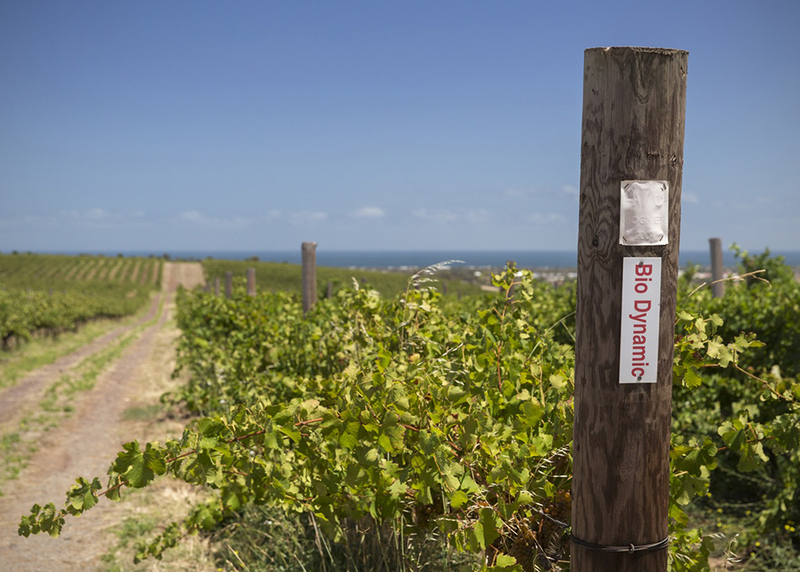 Two considerations drive decisions to convert to biodynamic practices – to enhance farming systems and to produce healthy (even nutritious) grapes. In short, to grow both more and better grapes. All biodynamic stipulations and preparations are designed to support these goals. A critical end result is non-intrusive, sound wines with authentic flavors. For the Paxton family the commitment is complete. “Paxton Now,” a McLaren Vale Shiraz and a new addition to the family’s range is USDA certified organic (no Sulphur added) as well as gluten free and vegan. Throughout the Paxton wine selection, a healthy range including McLaren Vale Shiraz, Cabernet Sauvignon, Grenache and blends, one theme predominates – these unabashedly are premium organic wines, the best kind. They say Australian wine is on the comeback trail. 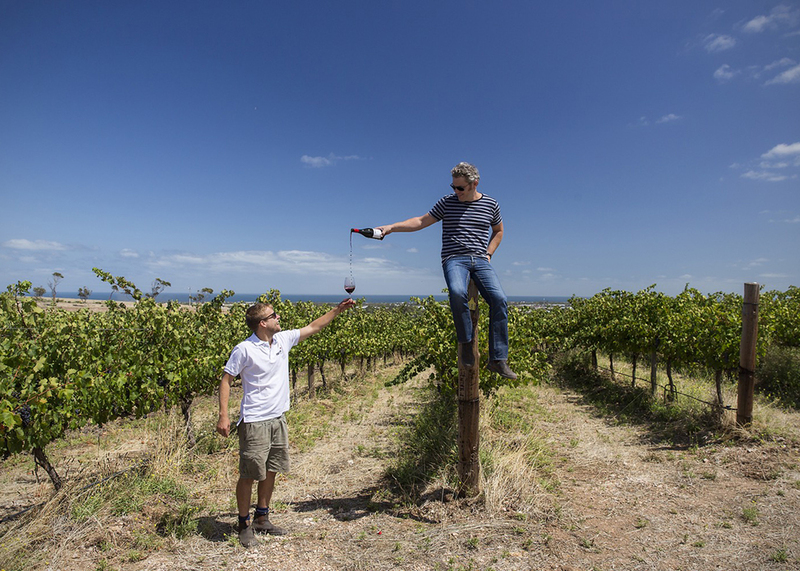 Maybe that’s so or maybe it’s spin, but for sure McLaren Vale hasn’t gone anywhere and if you’re interested in seeing why, check out these conscientious and really delicious Paxton wines from the wonderful world down under. Deep crimson red. Delicate fragrance of paprika, turmeric and cinnamon, with a touch of licorice and blackcurrant. Full bodied wine showing redcurrants, spice and cloves on the front palate, seamlessly followed by integrated French oak and elegant fine grain tannins. A floral perfume of cherries, Turkish delight and raspberries. With a hint of spontaneous (wild) fermentation and whole bunch of characters. Bright fruit driven front palate, with soft and silk mid palate. Hints of raspberries, cinnamon, liquorice, Turkish delight and nutmeg. Medium bodied with luscious tannins. Explosion of raspberries, strawberries, mulberries and plums with a hint of lavender and sandalwood. Medium bodied bright and fresh red berry fruits followed by a fantastic mid palate packed full of vibrant layers of fruit intensity and topped off with silky tannins and a velvet finish.